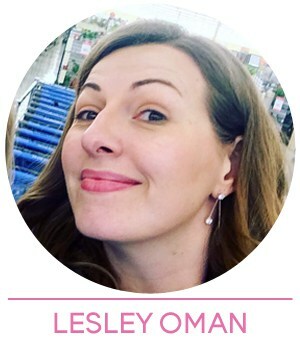 It’s Lesley here, and I am delighted to say that Heffy Doodle is sponsoring the latest challenge over at the AAA Cards blog. This is a challenge blog where you can get inspired, join in, and be in with the chance to win some goodies. 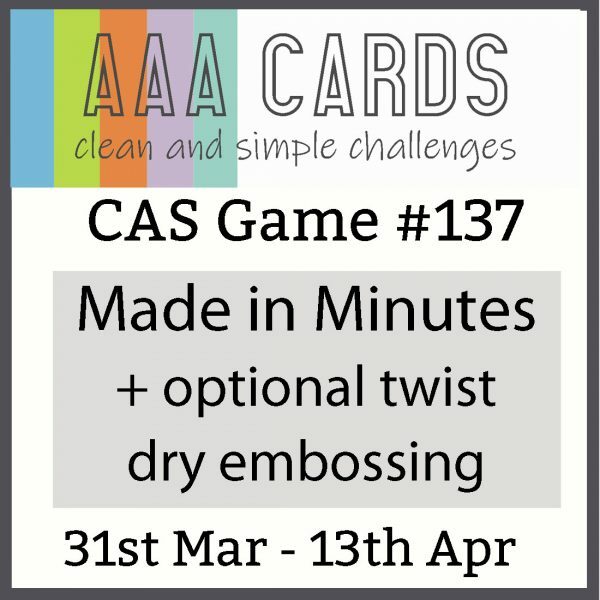 For this challenge, Jane messaged me to say that the theme is ‘Made in Minutes’ with the optional twist of dry embossing. I simply knew I wanted to play along! When I am in a rush and need a card pronto, I reach for a little tub on my shelf where I keep my leftover bits and pieces from previous projects. Do you have one of these kinda tubs? I took a look and found a pre-coloured caveman from the Prehistoric Pals stamp set. I decided to grab him and get crafty! I definitely wanted to do some dry embossing, so I reached for my Candy Store Stencil and a rounded embossing ball tool. 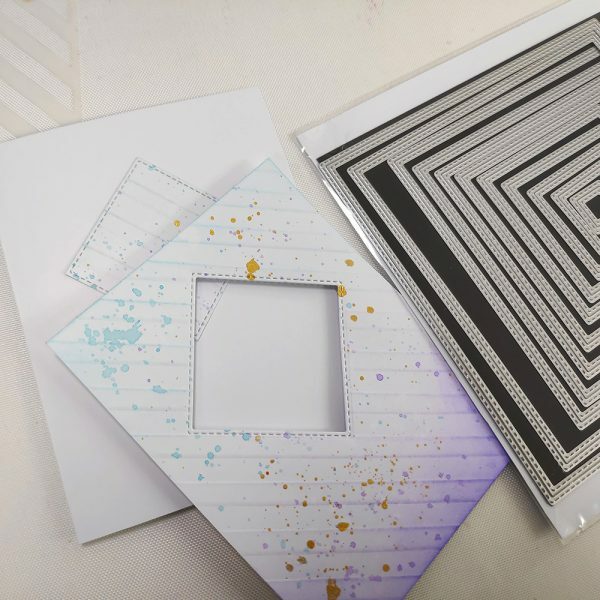 By placing the stencil under some card and simply running the ball tool along the edges of the stencil, you can create a gorgeous dry embossed look in minutes. These straight lines from the Candy Store Stencil are super quick! 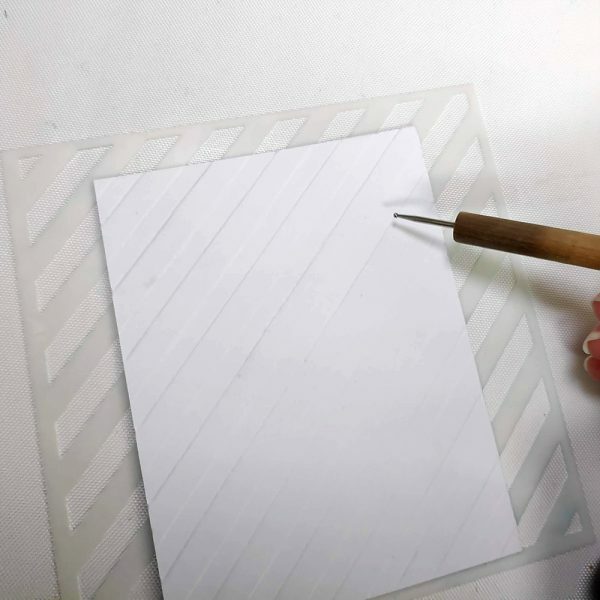 If you don’t have a ball tool, you could try using an old ballpoint pen with the ink tube removed, or the edge of a folding tool. 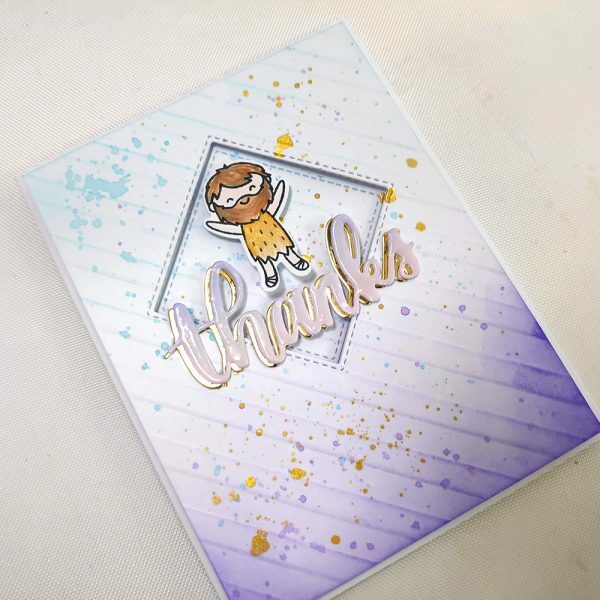 I actually thought about keeping the embossed panel white, but then I thought it would be fun to add some soft colours with some blending brushes. I know you will be curious, so I will let you know – these are actually cheap make up brushes from a pound shop. 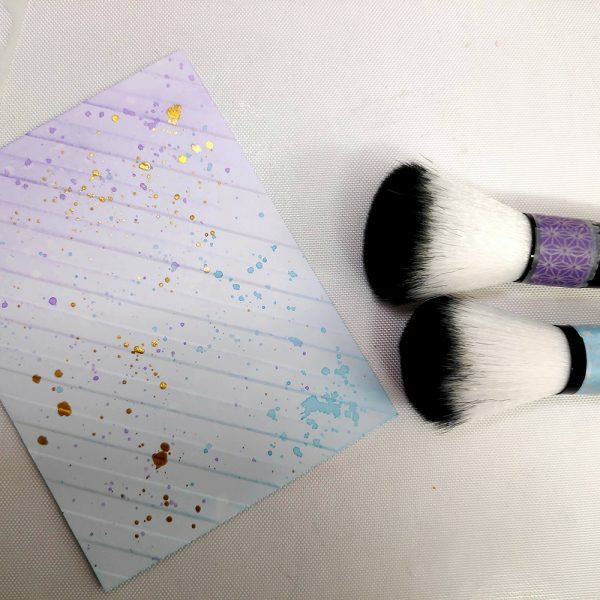 I do have some blending brushes from Tim Holtz, but these were the ones I use for blue and purple. They take a little bit of extra work, but I am happy with the way it turned out! 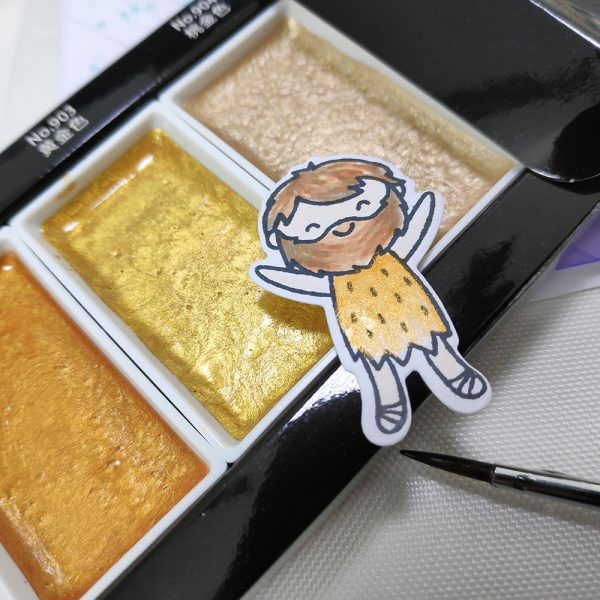 My caveman was already coloured in, but to add some pizazz, I went over the top of his orange tunic with some gold paint from the Kuretake Gansai Tambi Starry Colors set. I also added some paint splatters to the background to bring the gold onto that area too. Next up, a quick run through the Gemini Junior with a Stitched Square die. I positioned it at an angle so it continued the line of the embossing and gave a nice interesting focal area. Also in my stash I found a pre-cut and coloured ‘thanks‘ die cut. It even had the glossy accents already applied, so it was easy to grab and go. I simply cut another ‘thanks‘ from gold mirror card to layer underneath, which makes it look like a shiny shadow. I love how it ties the whole thing together. I stuck the diamond to the card front and raised up the rest of the panel using foam tape, and my project was done! Why not jump on over and join the fun at the AAA challenge blog! I would love to see what you are inspired to create! This is super cute! !ive never dry embossed before… maybe I’ll give this a try! !